The weekend had several key moments for me as milestone in some ways. 3 boys teams in one event, 3 girls teams in the same event and all winning their pool in the morning. 3 Gold medal advancements for key franchises in the club. We will begin with the 18u Mustangs, a team I am so familiar with and take pride in their tenacity and determination. This is a group of guys who at 15u almost saw their existence be wiped out by a mass migration. A couple of phone calls along with a rescue mission from Wakefield and they were back on. A year later I began to work with them and the progress was palpable. 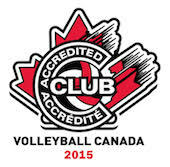 Last year they moved to a remained as Ottawa’s only Premiere level 17u boys team. This season they would start the year at Premiere with a bang. A big set win over those who left three years earlier and a second straight season opening win over the defending Provincial champion Durham Attack. Sweeping their pool was great but things became rocky when they lost their quarter final in a stunner to Aurora. Now they had to beat Pakmen Black in the match to remain at premiere and they were able to get it done a keep their run in the premiere division alive. Coach Frank St- Denis who is fresh of yet another Ofsaa championship said-“they have proved they can compete at this level; now they need to learn to train at this level.” ...Good news to these old ears. Off to 17u girls Cassleman where a double medal performance was mined by both the GoldRush of coach John Nguyen and Matt Monych’s Eldorado. A whisker away from a 1-2 finish the Eldorado overcame adversity in their semi-final and took the Bronze to not only remain at Championship but start out iat a much improved starting place. Meanwhile the top finishers crossed off their first step of a return to premiere and hopefully with a better result in their next event the GoldRsuh will find themselves at the March Grand Prix event. The injury plagued start to their season seems to be behind them and not a minute too soon as the girls H.S. season begins in earnest. Meanwhile out in Barrhaven at LDHS, we had three teams competing in three different pools, The 16u BlackJacks, Wildcards and Gamblers. As mentioned their morning start was ideal as all three finished at the top of their pool setting up the potential not to meet until the semi finals in any way....if they continued their winning ways. Unfortunatelythe only one of the three tocomplete that mission was the BlackJacks as they cruised through the day winning the Gold. Some bad hands and maybe a pair of loaded dice may have been the cause but the Wildcards and Gamblers both came up short in the playoffs and finished out of the medal round. In what I know is not the first time, but it was for me to be apart of it. We had three teams in the 16u Championship E event at CC Mer Bleue. The top seeded 16u Longhorns, second seeded Bulls and the newly golden 15u Chargers. The Bulls would start their day off winning three of 4 sets in a promising look for coach Tyler Legault. The wheels then fell off the bus in a tough loss to the fourth Ottawa entry from Fusion. The Bulls could not find their serving game and let their cross town rivals redeem an earlier loss in Sherbrooke. Meanwhile the 15u Chargers were quickly getting a lesson in what they need to do in order to remain at the top of the heap next year. Bigger blockers, tougher serves and the obvious size difference meant the Chargers would suffer losses to Fusion, Noir et Or and the Bulls in going 0-3 in pool play. Their tribulations continued as their reward was a cross over against the #1 Longhorns who added to the Chargers woes by playing one of their most efficient matches of the short season.To their credit, these young bucks got off the matt immediately and handled the Peterborough Thunder squad in their first consolation match to earn a re-match with the Bulls. Feeling good about their first win the Chargers took it back strait at the Bulls and finished their day on a two game winning streak for 5th place for a relieved coach Rainville. The Longhorns who have also been suffering from the injury bug had; what new head coach Kerry MacLean would call an eye opening day, for him that is! This synchronized team united in determination to succeed by not dropping a single straight set vs Peterborough, Pegasus, KVC, the Chargers, Fusion and finally les Noir et Or and take home “la Medaille d'Or.” The day wasn’t without it’s stress as bizarre injuries in the warm-up zone and re-injuring a sprained thumb. Their was however some inspiration on the day when Jacob Ferland got to play his first points as a Longhorn in the back row serving and defending for Dillan. His confidence grew and eventually he tested a recovering ankle sprain in the front row semi-final vs Fusion. The final once again was a thriller but this group showed their winning pedigree simply by raising their level of play after 18 points to a who new level including 7 in a row in one match. As I approach the runaway on Grand Cayman Island I can’t help but think that this team will be a new challenge for this old warrior. Taking a dominant team and keeping them there or as I hope, making them even better will be something to reflect on during those warm days in the sun.